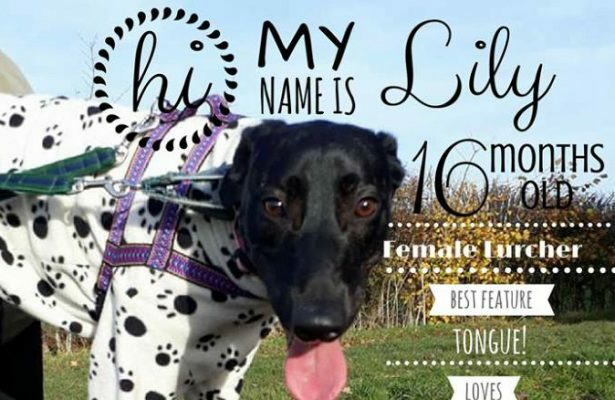 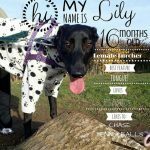 Lily is a fabulous young lurcher girl. She is a very happy girl who loves playing and chasing tennis balls. 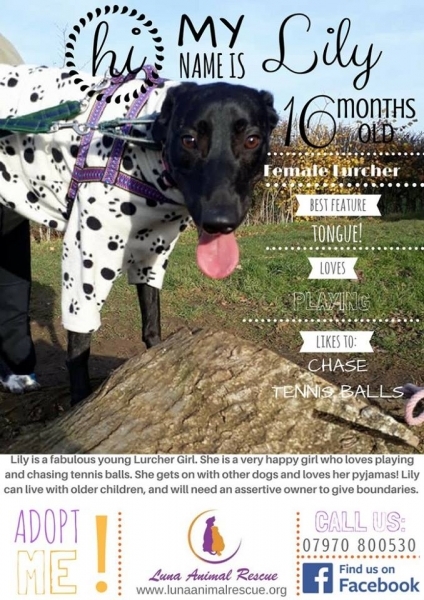 She gets on with other dogs and loves her pyjamas! 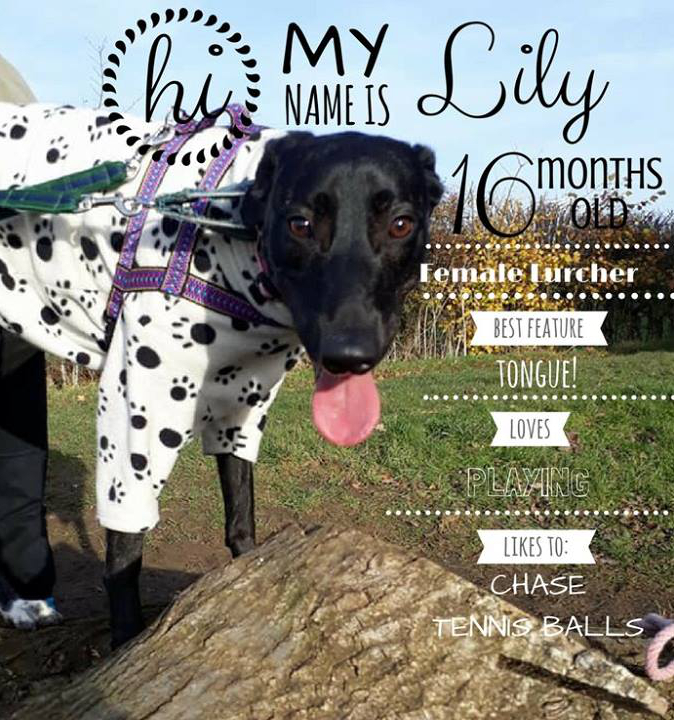 Lilly can live with older children, and will need an assertive owner to give boundaries.